Welcome to episode 12 of Superman in the Bronze Age. In this episodes, some thanks are dished out, Superman and Wonder Woman save the world (or do they? ), Superman gets a tad mental, then gets a transfusion. All this, plus “Elsewhere…”, for the extra low price of … free! Doesn’t get much better than that! 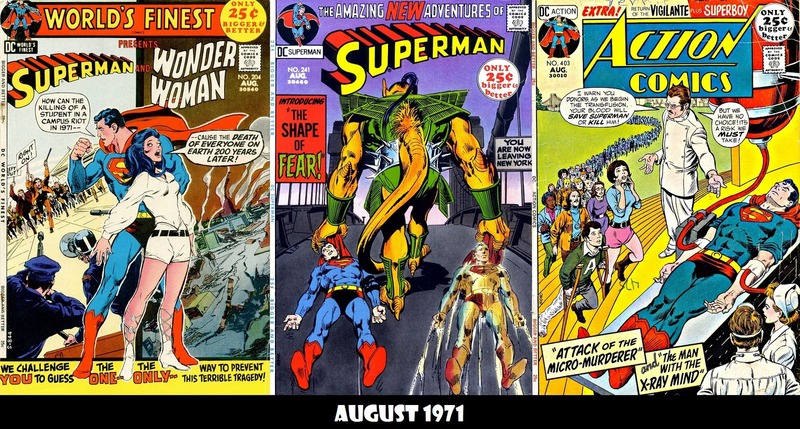 Next week, September 1971: Superman #242, World’s Finest #205 and Action Comics #404.